Please use this form to book the club's crane for launching or recovery of your boat. Only members without an annual ticket need to pay for use of the crane. Members can buy a multi-use ticket for £140.00, a seasonal ticket for £80 (lift in - lift out) or pay £2.50 per foot each time. Boats or their trailers can be left down to the club up to three days before launching and should normally be removed within three days of recovery. The Facilities Captain will confirm a suitable parking place for the duration. Please indicate if you will need to make use of this below. The club has trained a number of people to use the crane. Please enter the name of the trained member who is planning to operate the crane. Please note that craning is not part of the clubs contract with QSS Ltd (John Hagan). John Hagan has however agreed to facilitate members by assisting with Palfinger usage where possible, but there may be times, due to other commitments, that a mutually convenient time cannot be arranged. If you require assistance please tick the Set up and Supervision box and the club will liasise with QSS Ltd on your behalf and arrange for the crane to be set up and ready for use at a mutually convenient time. A small charge will be levied for this service. 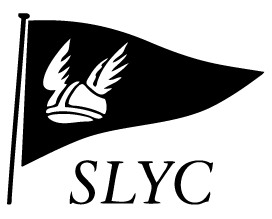 After you submit this application, the SLYC Office or Facilities Captain will confirm by email or telephone whether you can proceed on the date and time you have requested. Please ensure that we receive this request one week before your intended use. If you do not receive a reply please telephone the SLYC office or contact the Facilities Captain.